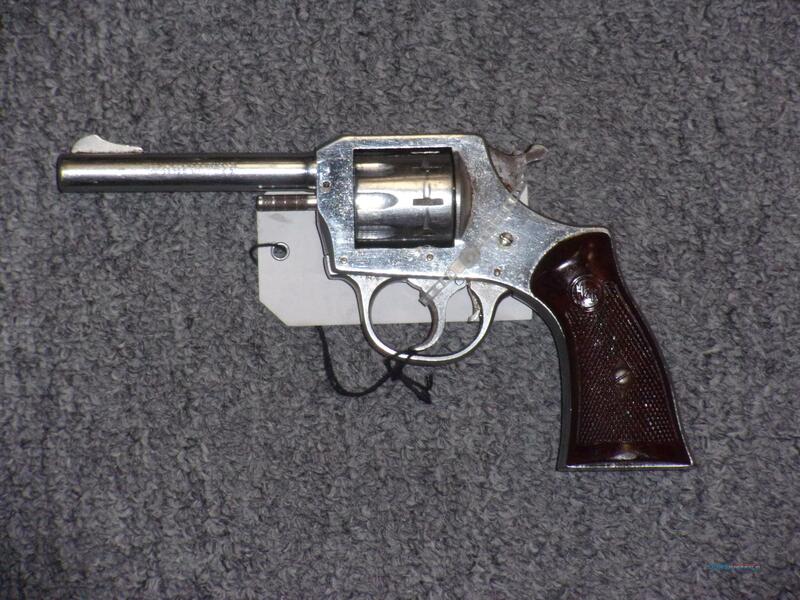 Description: This used H&R Arms 923 is chambered in .22LR and has a 4" barrel. It has a nickel finish and wood grips. It has a 9 shot cylinder. Condition: The gun is functional but has a significant amount of wear.